Does living together make people end up poorer? It seems to. Whether you do it to test your relationship…because it’s convenient…or simply because you want to spend more time with each other, living together before getting married is now the most common way young adults enter into their first residential relationships with romantic partners. In fact, nearly two-thirds of marriages since the early 2000s involved couples who lived together first. But new research from the Financial Planning Association shows that what previous generations commonly called “shacking up” might be bad for a couple’s financial future. The study interviewed people in 2013-2014 and analyzed the financial well-being and relationship status of those aged 30 and older. Those who chose to live together before marrying made less progress saving for retirement. One reason was that not being married made them less interested in planning for the long term and jointly building up assets…instead, they spent more freely on immediate needs and desires. The study builds on previous research that showed that unmarried people with consumer debt (such as ongoing credit card balances) were more likely to live with their significant others than those without consumer debt…and that heavy debt is a big risk factor leading to the dissolution of the relationship. Buying a home together, on the other hand, is the kind of commitment that is more likely to lead to marriage. Those who married ended up with the highest net worth. The results of the study proved the authors’ hypothesis—that respondents who were married would have higher net worth. Even among those who did marry, however, past cohabitation was negatively associated with net worth. Those who married without ever having previously cohabited had an average of $16,340 more wealth than those who married after cohabiting once before…and $18,265 more wealth than those who married after cohabiting two or more times. Those who married ended up with more financial assets. Married respondents wound up with the most financial assets, particularly when they had not cohabited before tying the knot. 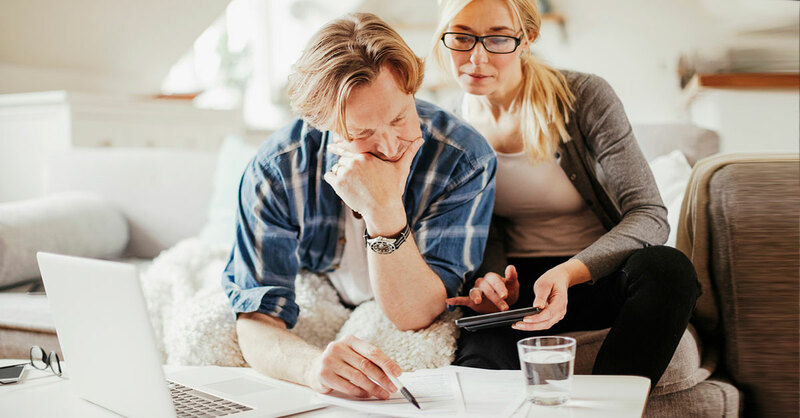 The study provides evidence that married people are more likely to focus on the need to save for the future and accumulate financial wealth for the long-term than people who live together before getting married or without getting married. This is an important realization in understanding the motivations that help lead to successful wealth accumulation. The findings could convince you to reassess your own living situation or help you inform and guide an adult son or daughter who is considering moving in with a significant other.